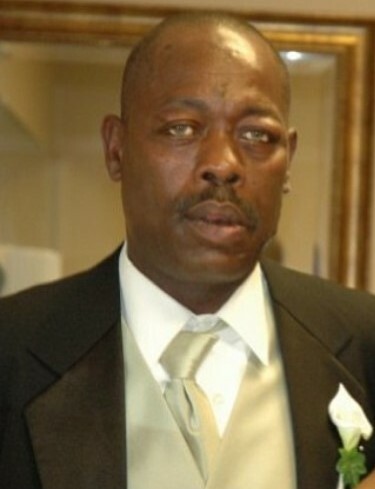 Obituary for John Smith, Jr.
Funeral services for Mr. John "Cricket" Smith, Jr., age 56, will be conducted on Wednesday, February 13, 2019 at 2:00 PM at Bethlehem Baptist Church. Burial will follow in Werts Cemetery. Mr. Smith passed away on Friday, February 8, 2019 at Prisma Health Richland. Born in Newberry County, he was the son of the late John Smith, Sr. and the late Laura Mae Lindsay Smith. Mr. Smith was predeceased by his paternal grandparents, Mr. & Mrs. Fred Smith; maternal grandparents, Mr. & Mrs. Willie Lindsay, ten aunts, six uncles and one sister-in-law, Mrs. Bobbie Lindsay. Surviving are his daughter, Kierra Mitchell Gilbert (Steven); son, John Raphael Mitchell (Cotrina); granddaughters, Tatiana Elise Myers and Leiarah Joannae Jefferson; ten brothers, James Lindsay, Harry Lindsay, Curtis Lindsay (Shirley), Tommy Lindsay (Robin), McArthur Lindsay, Joseph Smith, Kevin Smith )Eloise), Richard Smith (Jacqueline) Greg Smith (Rochelle) and Jeffrey Smith; four sisters, Janice Mathis (Bobby), Margaret Smith, Josephine Robinson (Otis) and JoAnn Smith (Randy) all of Newberry, SC; aunt, Rebecca L. Rollins of Richmond, VA; uncles, Jimmy Lindsay (Mamie) of Newberry, SC; Willie Fred Lindsay of Alexandria, VA; 15 nieces, 25 nephews, a host of great nieces and nephews; two special friends, Leroy Lyles of Newberry, SC and his ex-wife, Patricia Smith-Brockington of Columbia, SC; other family and friends who will miss him dearly.